I have 8 active stitch markers at the moment and they are my life line. Without them I would totally be lost. I think one of the reasons I don't give up is to see how it will turn out in the end. Right now it doesn't look like much of anything, but all the finished shawls look so beautiful and I want to see if I can get there as well. 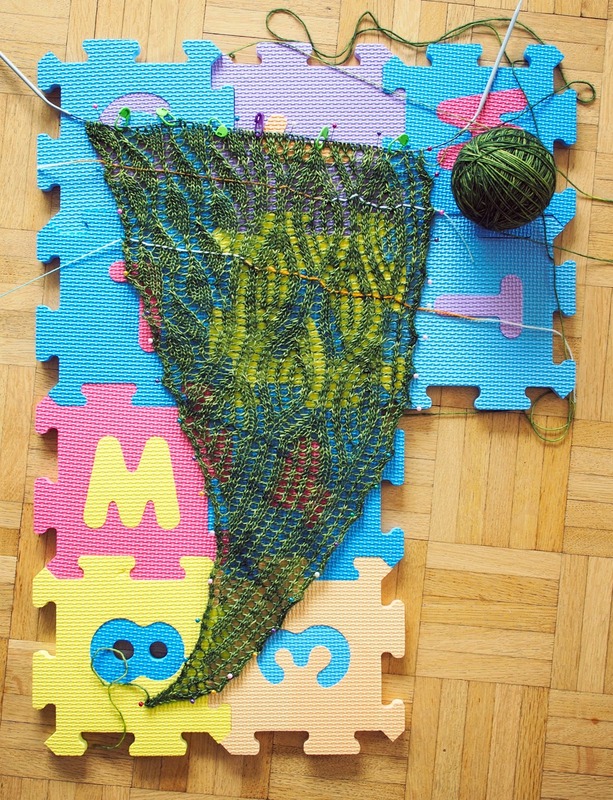 :) Made me laugh when you said you would rather write this blog post then knit on this shawl. I do hope you keep working on it as it may turn out being your favorite knit. It is already so beautiful! It is rather ridiculous how much I fight with this shawl ;-) But I will keep trying.